Lazio midfielder Sergej Milinkovic-Savic is reportedly close to signing a new contract with the club that would lower his release clause to just £89million in a major potential transfer boost to Manchester United. The Serbia international is one of the finest midfield players in the world and could be a fine fit at Old Trafford given their current needs. 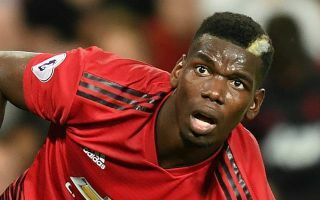 Not only are United weaker in the middle for losing the influential Michael Carrick to retirement this summer, they have also struggled to get Paul Pogba firing at his best, and the Frenchman’s future is now in doubt. The Independent just recently claimed United could be more open to selling Pogba in the near future after his dip in form, with Jose Mourinho said to have identified Milinkovic-Savic as his preferred replacement. And according to Don Balon, the Red Devils could be given a real boost soon as the 23-year-old looks set to sign a new contract with a lower buy-out clause. This is an exciting development for MUFC if they do decide to push on with their pursuit of Milinkovic-Savic, as he does arguably look an upgrade on Pogba at the moment, and a better fit for what Mourinho wants from his midfield players. Where will Milinkovic-Savic end up? However, Don Balon also mentions interest from Real Madrid in the player, with a host of other major clubs also notably linked with him during the summer, though his high asking price previously put clubs off paying up for him.